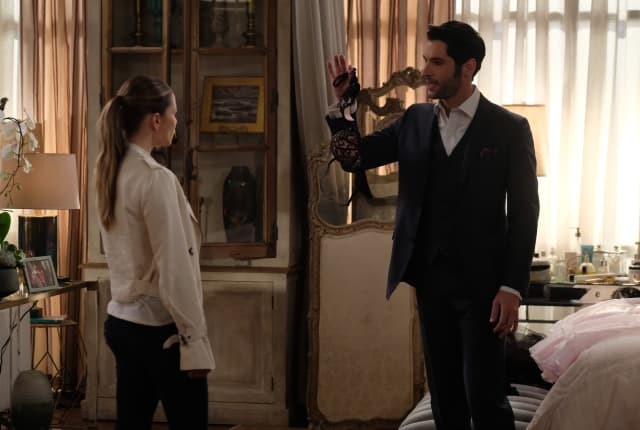 Watch Lucifer Season 3 Episode 21 online via TV Fanatic with over 1 options to watch the Lucifer S3E21 full episode. Affiliates with free and paid streaming include Amazon. On Lucifer Season 3 Episode 21, after a prima ballerina is brutally murdered, Lucifer helps Chloe solve the case and tries to keep her focus away from Pierce. Linda: And what if she does choose you? Lucifer: Well, things can finally go back to the way they were before Pierce. Obviously. Permalink: Well, things can finally go back to the way they were before Pierce. Obviously. You need to back off. Whether I decide to take Pierce back or not, it has nothing to do with you.